We know you’re lighting your Advent wreath, following our digital Advent Calendar, and in an overall Advent frame of mind. But just in case you’re also starting to make your Christmas shopping (or receiving) list, here are a few thoughtful suggestions. If you don’t find that special something here, take a look at last year’s Busted Halo Gift Guide. 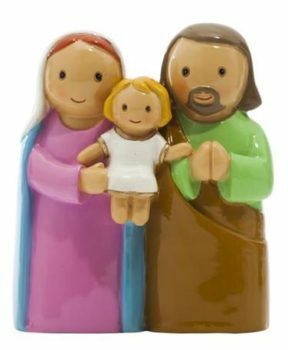 If there are pint-sized Catholics in your life, get them started learning about Jesus, Mary, and the saints early on with Little Drops of Water statues. These colorful and holy toys would be a welcome addition to any toy box. Does your favorite little one love books? Consider the Where’s Waldo-style “Can You Find the Saints?” or “Noel,” which tells the story of Jesus’ birth and love for all children on earth, across all cultures and continents. Busy, busy, busy! Pick up the perfect planner for the person in your life who is dedicated to keeping a handle on their (perhaps overwhelming) calendar while also making time for prayer and reflection. The Catholic Planner, available in different sizes, colors, (and even an academic edition), is exactly where daily organization meets spiritual inspiration. 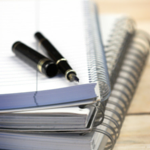 This planner offers a “weekly retreat” that features upcoming Mass readings and ample space for reflection and journaling. The Blessed is She Liturgical Planner is designed specifically with women in mind, mingling beauty and spirit with accommodation for all the twists and turns of day-to-day life. Day by Day with Pope Francis is the perfect calendar to guide and ground your busiest bee, complete with a daily quote from Francis himself. For your most caffeinated friends and family, order some Mystic Monk Coffee, lovingly roasted by Carmelite monks in Wyoming looking to support their growing community. 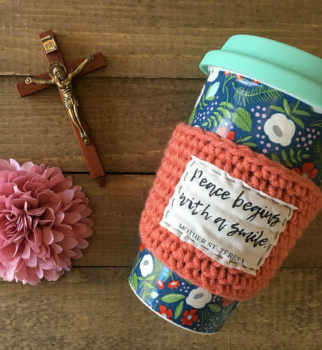 And wrap your to-go cup in its very own coffee cozie by The Cozy Wife, whose designs feature sweet and inspirational spiritual musings. St. Francis de Sales once said, “The greatest method of praying is to pray the Rosary.” Give the gift of prayer with a custom rosary from Carmelite nuns at the Carmelite Monastery of the Sacred Hearts in Colorado Springs, and support the way of life of these contemplative sisters. If your prayer pal is also a music lover, consider creating a spiritual playlist for them on Spotify. Your friend will enjoy the thought that went into a personal song selection. 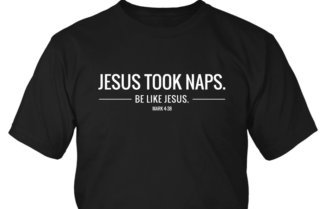 St. Padre Pio once said, “Serve the Lord with laughter.” For the person of faith who’s always cracking a joke or 10, this Jesus Took Naps T-Shirt is sure to please. Pair it with the “Catholic Hipster Handbook,” which is full of fun facts and reflections on the funniest and quirkiest of all things Catholic. The duo is perfect for eliciting smiles all year round. For the person in your life who would rather have a memory than a gift-receipt, give the gift of time with God on retreat. Find a local retreat house and arrange for an evening or weekend away, or construct your own retreat program (check out some of our virtual retreats for inspiration). Send them off to a peaceful location for a few hours, while you take care of the babysitting and chores. Nothing inspires like a good book. 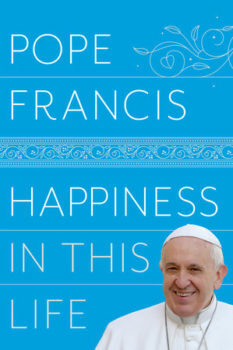 For the avid reader in your life, look no further than Pope Francis’ new book “Happiness in This Life: A Passionate Meditation on Earthly Existence,” a collection of homilies, reflections, and daily words of wisdom to guide the reader into the heart of his papacy and his love. In a similar vein, “Miracle in Motion: Living a Purposeful Life” is the uplifting memoir of the Fr. TJ Martinez, a Jesuit priest who founded Cristo Rey Jesuit Prep in Houston, Texas, and changed countless lives of students struggling against great odds. These reads are sure to be the actual gift that keeps on giving. Looking for an extra-sweet gift for your extra-sweet friend or family member? Not only do products from Equal Exchange and the Brigittine Monks taste delightful, but they make a delightful impact. Equal Exchange boasts a variety of delicious chocolate, coffee, and gift baskets, all of which are certified fair-trade. The fudge and hand-dipped truffles produced by the Brigittine Monks at Our Lady of Consolation Priory in Amity, Oregon, support the monks in their way of life and their apostolate of prayer. Consider a gift to Global Partners Running Waters, which builds on the work of Sister Jan Gregorcich (SSND) to make clean water a reality in villages across Latin America. Or help the Catholic Church in hurricane-ravaged communities rebuild by making a gift to Catholic Extension in the name of your friend or family member who loves to give back. 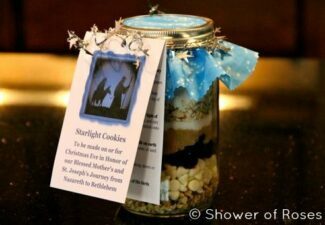 For the person in your life who is delighted by the homemade and ultra-thoughtful, consider this Starlight Cookies DIY Jar to make on Christmas Eve in honor of Our Lady and St. Joseph’s journey to Bethlehem. In addition, a Spiritual Bouquet is a beautiful gift of prayer and care for anyone dear to you. Check out this guide on making one here. Feel free to get creative, or use the free downloadable card to present your spiritual flowers. Treat your friends (or yourself) to some skin-soothing, prayerfully crafted St. Philomena lotion, St. Thérèse lip balm, or Catholic beard balm. With scents like “Chrism,” “Holy Smokes,” and “Lectio,” these fun products will give a new meaning to the term “smells and bells.” Plus, a percentage of the proceeds of all products purchased from the Catholic Balm Company goes to support youth ministry efforts! In the words of St. Hildegard von Bingen, “Cerevisiam Bibat! (Drink beer for health! )” A fine lager, ale, or stout crafted by the Trappist monks of Spencer, Massachusetts is the perfect gift for the passionate beer drinker in your life. 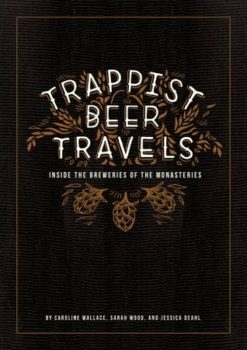 Add some reading material to the drinking material by pairing it with “Trappist Beer Travels: Inside the Breweries of the Monasteries,” a deep-dive into the history (and beer profiles!) of the world’s 11 Trappist Monastery breweries. Why not give the gift of Busted Halo this year! It’s joyful, it’s useful, and it’s free! Tell a friend about our website, Radio Show, Advent Calendar, or Advent Photo Challenge. Share Busted Halo with your Facebook friends or Twitter followers. Or purchase a SiriusXM subscription for someone to ensure they’ll never miss another episode of the Busted Halo Show!